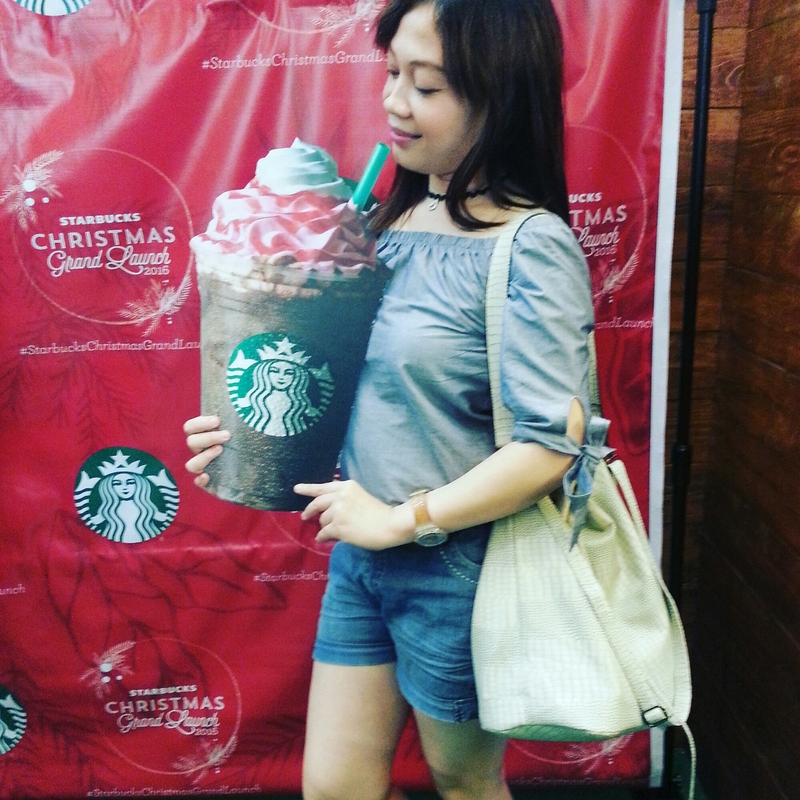 The much awaited annual Starbucks Christmas tradition in the Philippines has already started this November 2 but I’ve got the chance to experience it days earlier. 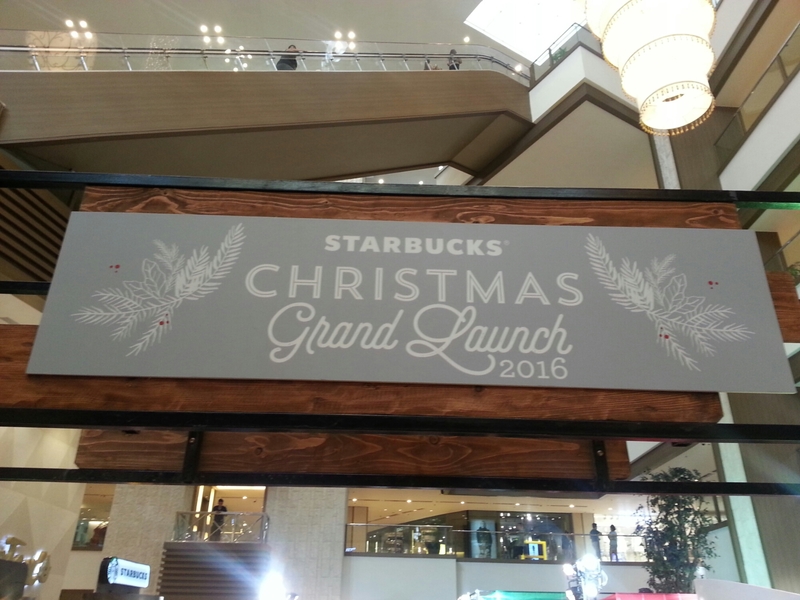 Last Oct 29, 2016 my Starbucks addict self excitedly dressed up to attend the 2016 Starbucks Christmas Grand Launch at the Grand Atrium of Shangri-la Plaza Mall. The launch event was held for two days, Oct 29 and 30 free of charge to the public. Attendees just have to show a screenshot of their My Starbucks Rewards account page to enter and be given a Cheer Passport. I have no idea of what’s in store for me there aside from seeing first hand and having a chance of winning the 2017 planners but since Starbucks equates to Goodvibes for me I immediately ticked “Going” at the official FB event page and saved the log-in screenshot before heading there. As I line up again that was the time I noticed a lot of booths and baristas were all around the venue, hmmmm…I smell something thrilling fun right there and then. 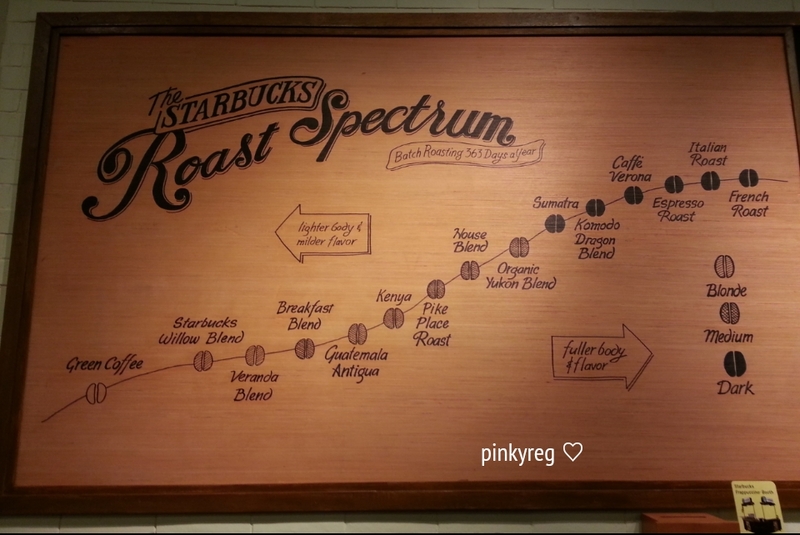 When the Cheer Passport and Starbucks Promo card were given to me the barista in the registration booth explained that I need to complete a total of 5 stamps by doing the activities/challenges in each of the 5 Cheer Stations inside to get a Special Gift. Ok, lets do this. And so I entered and to my surprise this greeted me: Cheer Station 1 – Christmas Selfie Challenge. 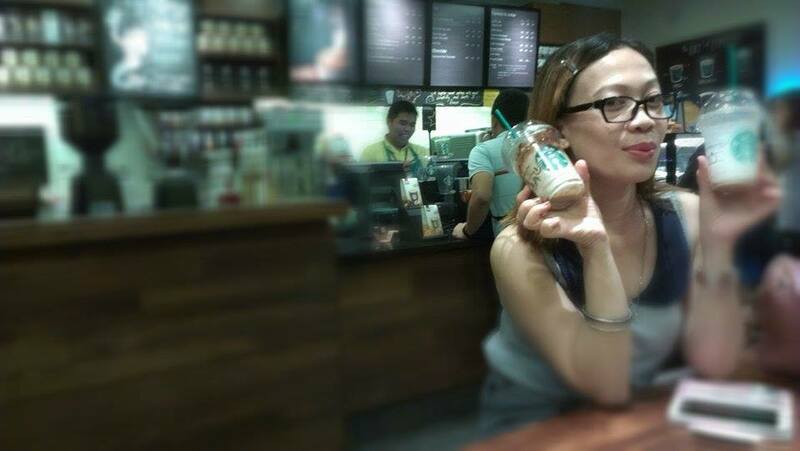 I picked from a bowl of paper slips what I needed to do and tada, the challenge for me is “Take a selfie with a Starbucks Barista” and upload it on your social media account. Hihihi, OMG, Kilig much, Im game! The kilig turned into a different kind of cloud nine. It feels overwhelmingly heaven seeing everything Starbucks and Christmas and baristas so I decided to save the best for last and just go on the next 4 Cheer Stations before scoring that “selfie“. Let’s get it on with the next Cheer Stations’ activities. 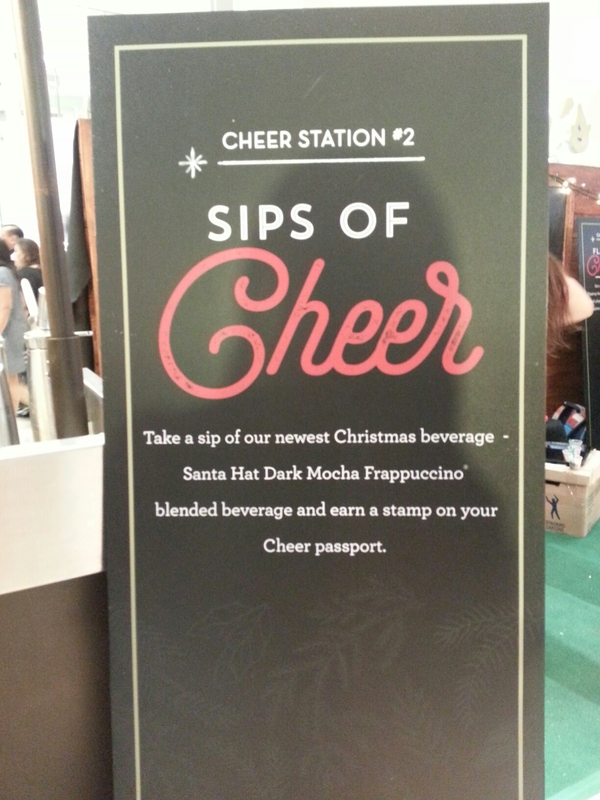 Cheer Station 2 is the “Sips of Cheer” where you are asked to try on the new Christmas beverage Santa Hat Dark Mocha Frappuccino. Isn’t it so great, a free taste and you got a stamp. Cheer Station 3: Flavors of Christmas is some kind of a memory game wherein you need to get 2 matches by flipping the cards of Starbucks flavors. I didn’t get a match here yet there is a prize item win or loose and a stamp of course for trying. The last is probably the hardest for me. 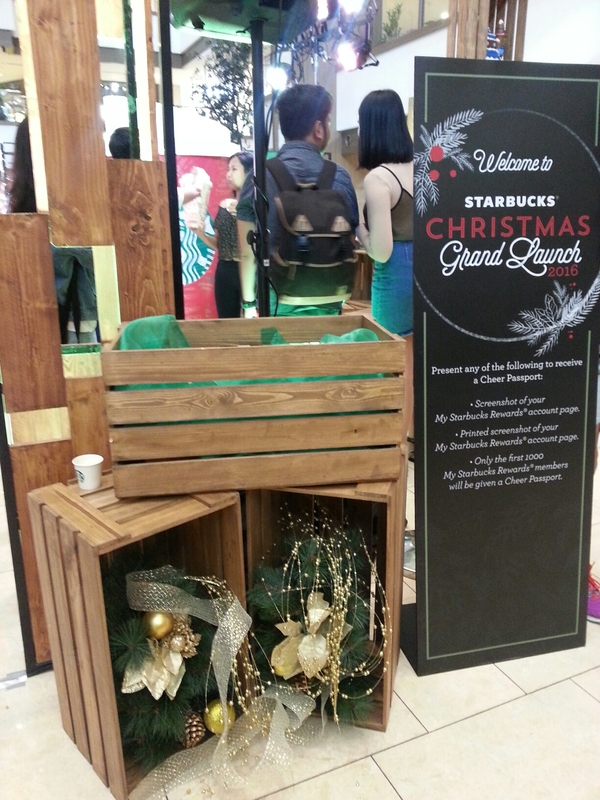 Cheer Station 5: Crafted by Hand and Heart needs the artist in you by designing a blank Starbucks Christmas greeting card. I have no sense of the visual arts and its my hatest subject in school yet I have no choice but to draw and play with the gliterry and metallic pens/markers provided. Here are some of the finished product of others, nevermind mine hahaha. Before claiming the gift item its now time to get a first hand look at the colorful 2017 Starbucks Planner designs. The Christmas tumblers are so eyecandy too as well as the new Starbucks card designs. Cant resist to touch and took photos. Here are some more photos of the crowd and inside the event. Thank you so much and Congratulations Starbucks Philippines for a very creative, interactive and enjoyable launch full of Starbucks Christmas spirit and goodvibes. 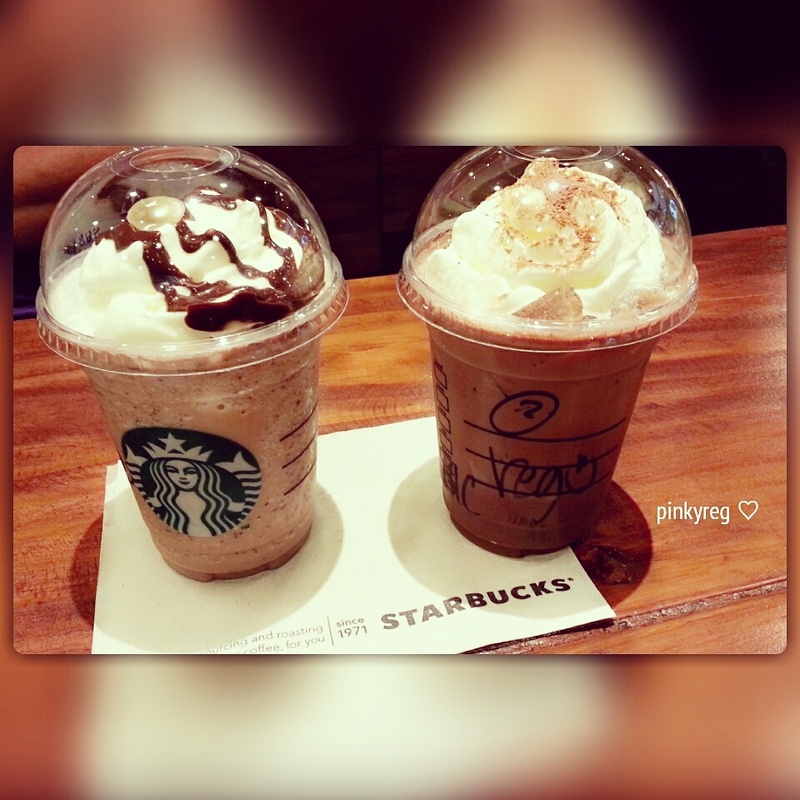 Will forever be a Starbucks baby. On a more serious note, I knew all my kababayan from Angono were just as excited. Dubbed as the Art Capital of the Philippines and not far away from Manila we are unfortunately tagged as an outskirt place without Starbucks by Ms. Ruffa Gutierrez in one of her lines in the 2010 film Working Girls when she was told a property was left to her located in Angono and her verbatim response was “May Starbucks ba dun?” (See video clip post below for reference, credits to Rizal News Online FB page) Oh well its true, then but now fret no more and we are thankful that this remark might have helped that we are now enjoying Starbucks birth in our artistic town, hahaha. 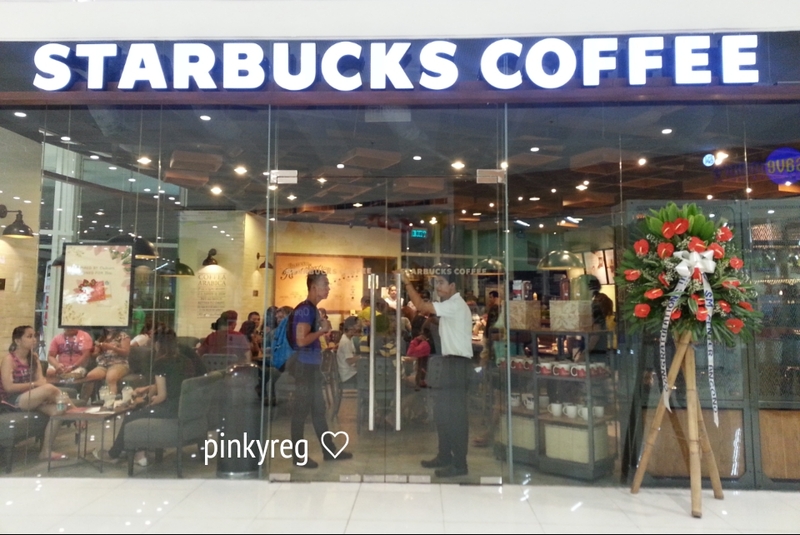 Starbucks Angono is located at the G/F of SM Center Angono along Manila East Road. 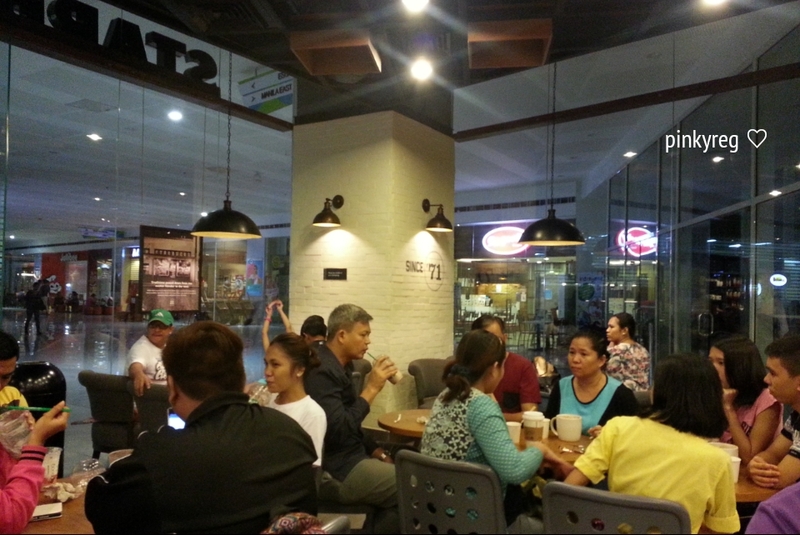 After almost a year since the opening of this very first major mall in our town (SM Center Angono opened in Nov 2014) then comes this Starbucks place. 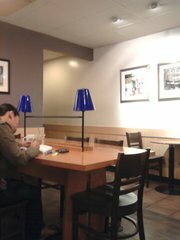 As much as one would say (from a traditionalist point of view) that our town is slowly being modernized away from its rich culture I think having a Starbucks nook would even enhance the inherent talents fellow Angono townspeople have. It’s a place where we can tap our creative juices on music, visual arts and writing as we sit and sip some coffee and ambiance here, away from our usual corner in our room or galleries. 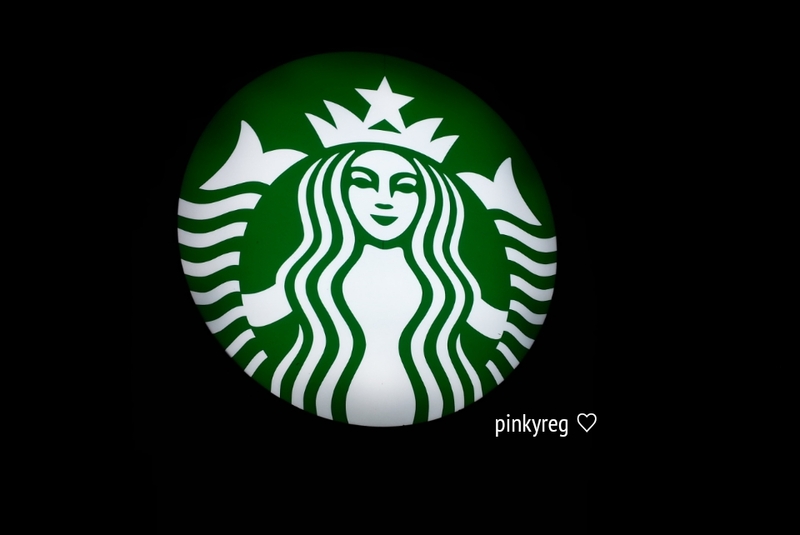 Personally as a blogger coffee shops especially Starbucks (and I don’t know why hahaha) gives me a magical inspiration that ideas are just pouring as long as I enter one. 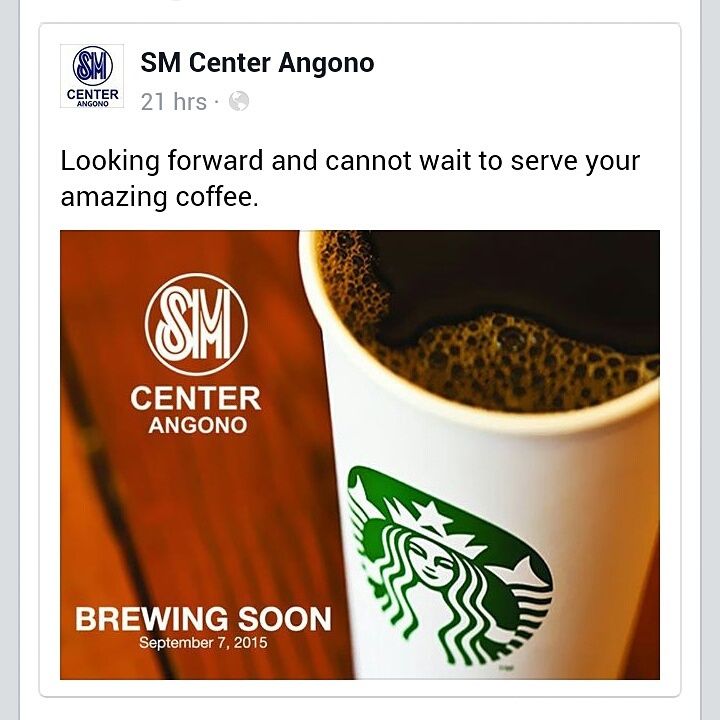 Of course we can proudly say that we now have a new meeting place or tambayan aside from Jollibee, Chowking or Infinitea and the infamous Don Antonio’s now have its major rival aside from the new coffee shops at San Roque’s Music Wizard (and I don’t know the name hahaha). Isn’t it so great great! 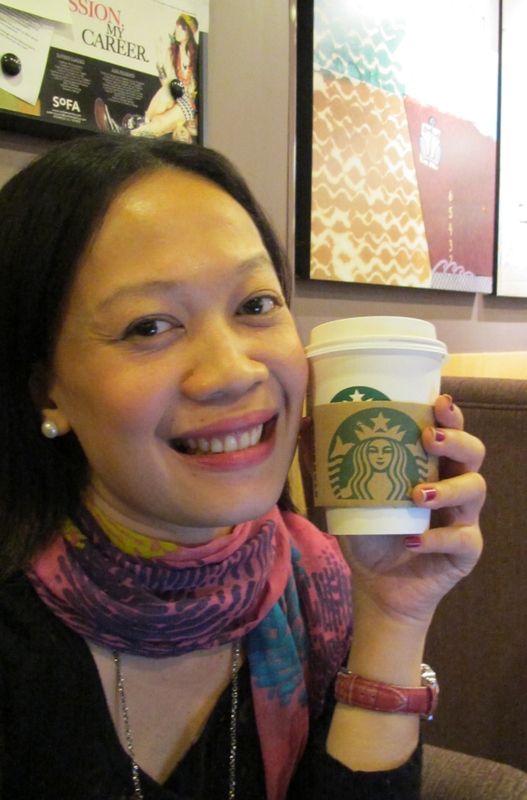 I am just so delighted to answer this survey for Starbucks Matalino. After almost a year of frequenting and loving this nook at Matalino St., finally I got that random survey coupon attached to my receipt. This is it, time to give back and complement their great customer service by high praises. As a Statistics graduate I know how important my voice would be for their branch and overall Starbucks in the Philippines. As my token of my appreciation to Matalino baristas’ undying assistance to me, of course my answers are all Highly Satisfied, I need not think twice. Love you all guys. This is what I wrote in the comment box which asks “Explain in detail what you liked in this particular Starbucks store”. Everyone would agree that the space provided is not enough and I would need a full blog to explain it. Nevertheless I summarized it in few words. 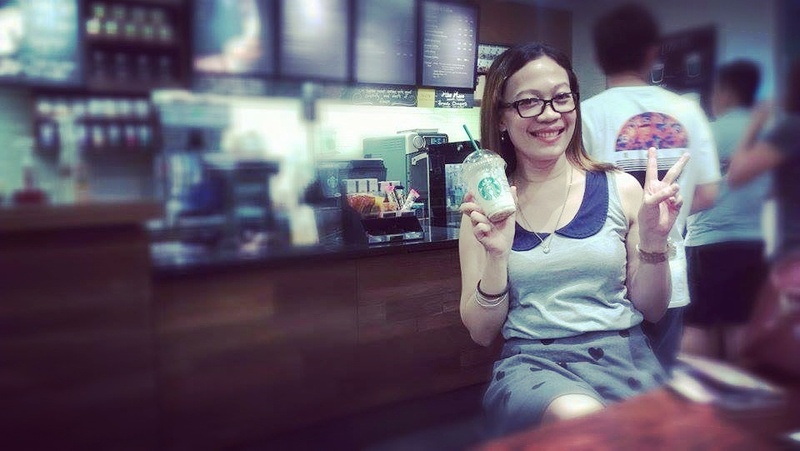 Here’s a salute to all your hard work, friendliest customer service and charming acts not only to me but I think to every person who steps inside this Matalino St. Starbucks corner. 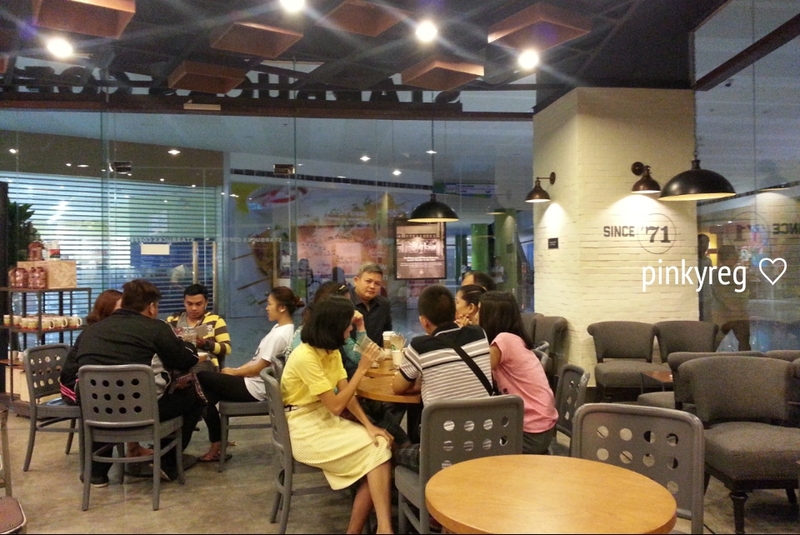 I remember what my friends told me when I got them to accompany me and have our Starbucks night at Matalino. From entering the door, finding us a seat, calling me by my nickname, and assisting me every inch of the way of our stay, one thing is just missing. 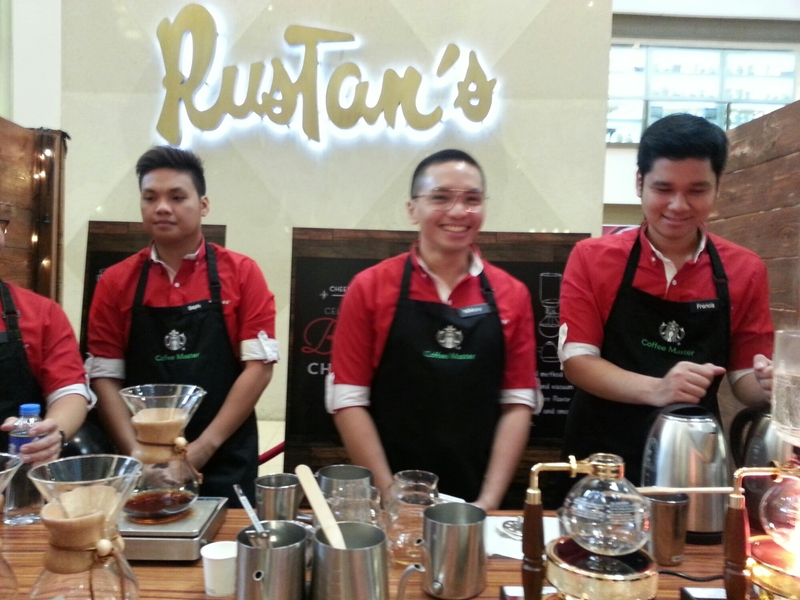 “Kulang na lang ipaglatag ka ng red carpet ng mga barista” (baristas to roll a red carpet for me). That brought us a loud laughter. But no kidding, its the best customer service I witnessed in my life. 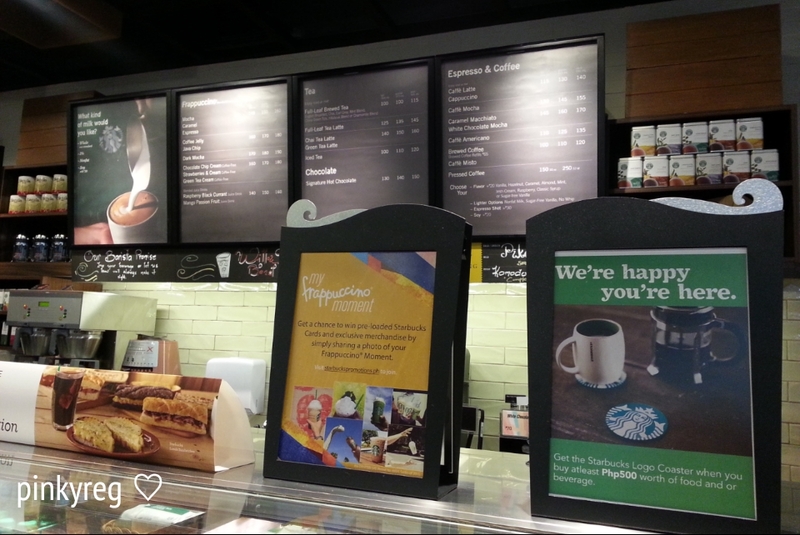 Oh I forgot to mention that I got a free Signature Hot Chocolate as a birthday gift from them just last May. I was not expecting that but yes it happened! Till my next Starbucks Matalino visit and blog post. Thanks again my friendly baristas, you’re all epic! –—- From a banker, blogger and Starbucks Matalino loyal customer Ms. Reg (or Dr. Reg as almost all the baristas thought I am a doctor hahaha). 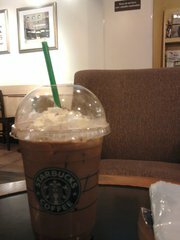 After a long while I entered this famous coffee shop again at Matalino St. 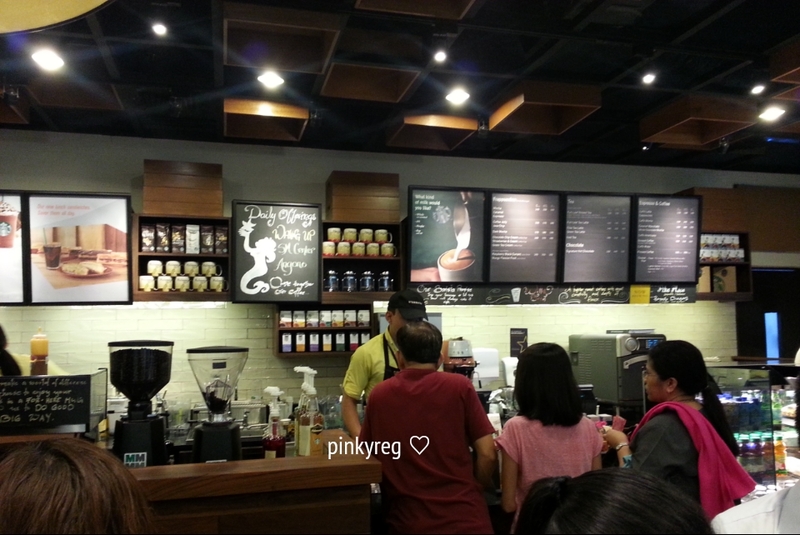 Since I used to frequent this nook I instantly noticed this Mr. Newbie barista right in front of me. He let me spell my three-letter name and gave that cutie smile (is this a dejavu?) after saying it loud. Is this sounding like a Koreanovela already? 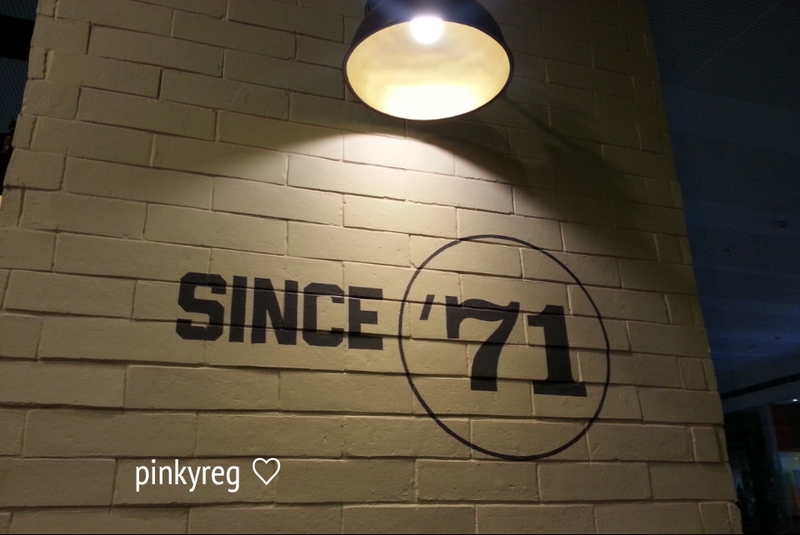 Oh well maybe since this Starbucks franchise is located at the heart of the Korean district here in Quezon City. Let me continue. I gave him my credit card for payment. The POS terminal seems to help prolong our moment as it dials so slowly. Mr. Cutie asked me then if I can let him hold my card first until the sale is printed. I give him a nod (without thinking of a possible fraud activity) and waited patiently for my drink. As soon as I my usual drink is prepared I quietly sit on my lucky table. I opened my netbook and do my usual craft, to finish my long standing blog drafts. Without a hint he approached my table asking for my signature. I gave it to finish the sale and he smiled again. After a fruitful hour in the shop I prepared to go home. To my surprise his shift has just ended and we almost walk to the door side by side. A night after, I found myself opening the same door I left. It is a very rainy Wednesday night. With a wet hair look carrying 2 bags on my shoulder I felt I looked like a worn-out umbrella. As I am busy looking for a quiet table with the shop so crowded with final exam and paper-cramming students I heard a familiar voice, “Good evening Ms. Reg.” OMG, it’s him and his perky smile. How on earth did he remember my name? He even apologized, with his eyes rolling in cuteness, not being able to accommodate me tonight. Oh well its ok, I know I’ll be back tomorrow. Good thing I wear my lipstick and my blush on at the moment as I start another story within this coffee shop corner. It’s the same place that inspired me to write the poem below early this year. But take note the barista tonight is not the same barista mentioned. Though they have a thing in common, I failed to get their names. I know now what to do next. 🙂 Enjoy reading again guys. I might compose another one soon. just like the good old UP days made my tummy happy. seems like a wonderful scene in the romantic Seoul streets. as I step on a new found corner at Matalino St.
and by now he knows my favorite drink and calls it Regie’s Hot Chocolatey. but it turns out I scribbled a new one in an instant. Oh well, I tell you that today is a blast!